frame, roof and 4 screens. Product Dimension: 10' x 10' Shipping Dimension: 154" x 13" x 10"
D.O.T. Furniture offers a one-year limited warranty on umbrellas and gazebos to be free from defects in material and workmanship. All warranty work must be assessed by the service centre and is only valid with an original receipt. Warranty does not include nor cover non-residential use, normal fading, normal wear and tear, misuse, abuse, neglect, the use of improper cleaning products, use of sun-tan oils or other chemicals, vandalism, mildew, acts of nature such as wind, rain, hail, freezing, etc. and other circumstances beyond defects in material and workmanship. Warranty also does not include delivery, pick up or home inspection. Create the perfect look for your outdoor setting with an umbrella or gazebo which will not only provide shade and cool comfort for your outdoor living experience but also add a splash of colour and personality. The best way to keep your umbrella looking like new is to take steps to prevent damage from the elements by using a protective cover and removing the umbrella from the table when not in use. 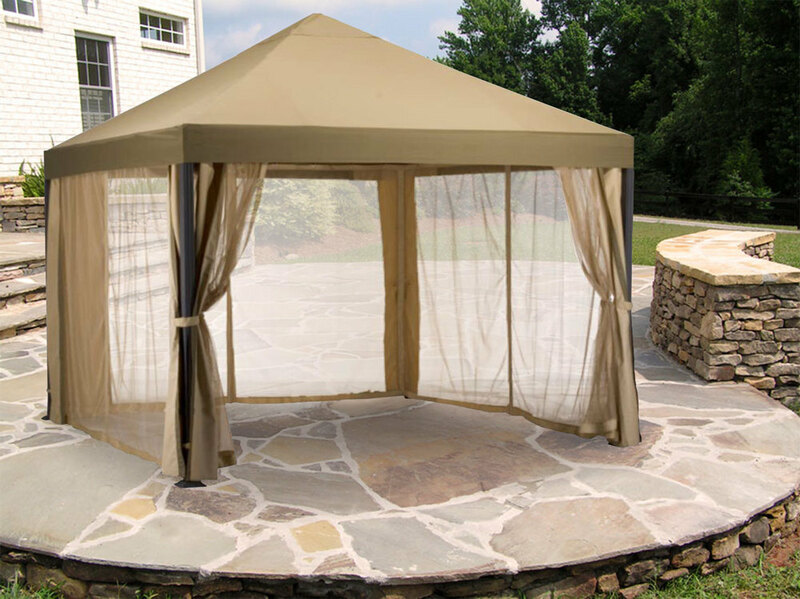 Your gazebo should be taken down for the off-season. The simplest and most inexpensive method to keeping your umbrella or gazebo clean is to pull out the hose and spray it down. Occasionally, when hosing off the umbrella or gazebo does not work, a simple mixture of mild dish soap and water is your best solution. It is recommended that the fabric be Scotch Guarded annually. Do not machine wash or put the cover in the dryer. Caution must be used when using an umbrella in your glass table and an umbrella base must be used. Never leave an open umbrella unattended.